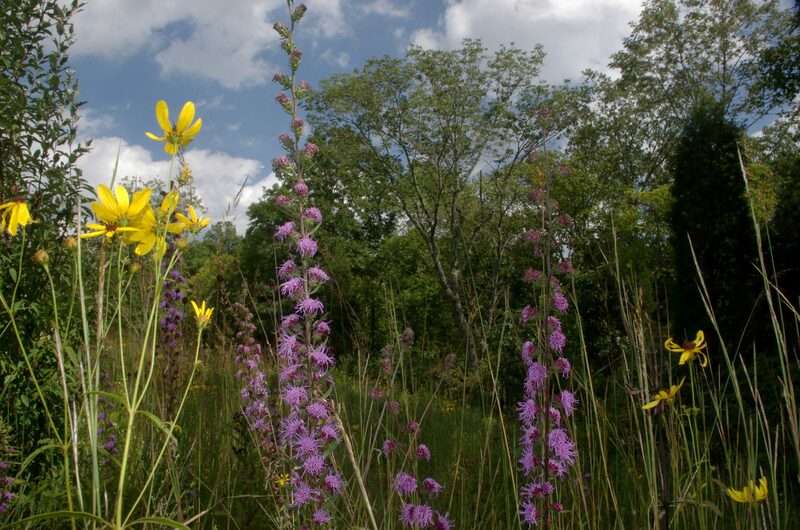 Located in Meigs Township, just east of Steam Furnace Road lies a botanical and zoological paradise for native biodiversity. 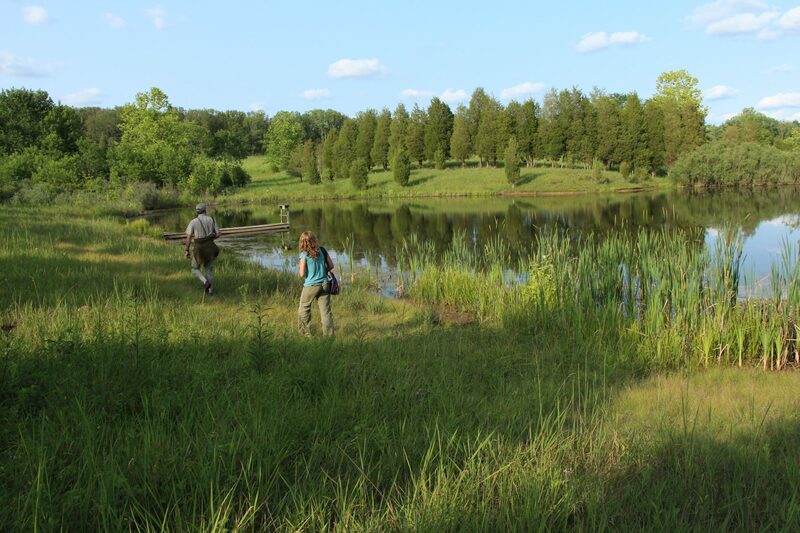 Ka-ma-ma Prairie offers two miles of hiking trails leading into cedar glades, prairie and forest. The property is open to the public by calling, emailing or writing the Highlands Nature Sanctuary for a hiking permit. A Short-Grass Prairie in Adams County. The region provides canvas for classic prairie open grasslands, cedar-dominated glades, light-shaded dry bluffs, and young forests composed of oaks, hickories and scrub pines. The grasslands have an unusual number of classic short-grass prairie species such as Little Bluestem, Prairie Dock, Rattlesnake Master, and False Gromwell. Showy wildflowers such as Yellow Lady-slipper, Hoary Puccoon, and Indian Paintbrush create colorful displays in season. Rare annuals of Draba and Leavenworthia species can be found growing in the thin powdery soils that lie along bluffs shaded by deciduous trees. The extremely rare Prairie Gentian was found here, and is one of only two known locations in the entire state. A Haven for Wildlife. This preserve is not only high in plant species, but is profuse in wildlife. 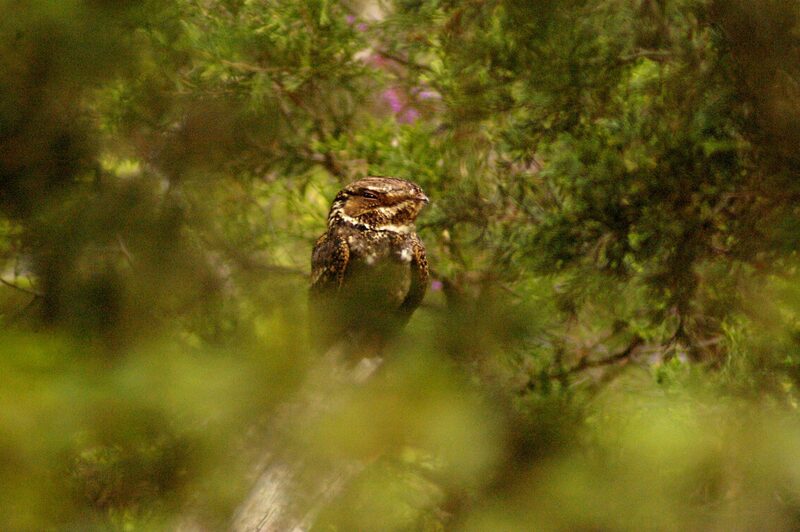 Chuck-will’s-widow, a more southern and savannah-oriented counterpart to the whippoorwill, can be heard each spring in sustainable numbers. 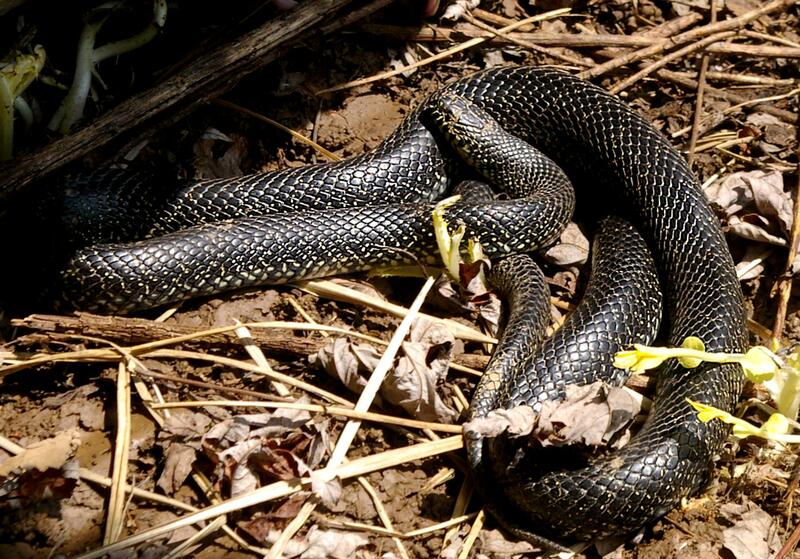 Black Kingsnakes and Broad-headed Skinks are note-worthy reptiles documented on the property. Ka-ma-ma is a Cherokee word for butterfly, and the prairie has one of the highest butterfly counts in the state for its size, including the rare Cobweb Skipper, White Hairstreak, and Olive Hairstreak butterflies. Each summer the prairie is a mecca for butterfly watchers and butterfly researchers in Ohio. Rare and Endangered Plants. Ka-ma-ma Prairie has an extremely high number of rare vascular plants species, claiming 43 state-listed species in total. Of these, 9 are endangered, 16 are threatened, and 18 are potentially threatened. An additional 42 species were listed previously in Ohio records as imperiled, making 85 species of its 515 total of special interest and rarity.